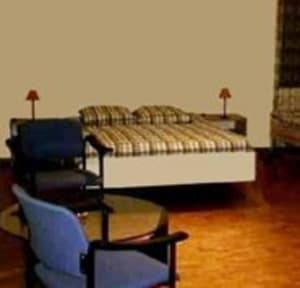 Tourist Hotel Lucerne i Lucerne, Schweiz: Reservér nu! A budget place to stay at the riverside with a beautiful view of the mountains. 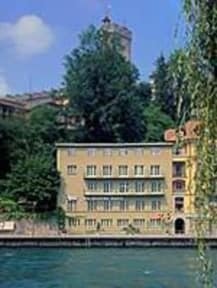 Our hotel is situated in the old town of Lucerne only a few minutes away from the station, the lake and the shopping area. It is ideal for all kinds of guests, groups and families. The hotel has 100 beds within rooms with 1-4 beds. All rooms have hot and cold running water. Free showers and toilets on each floor. Some rooms have private facilities. Elevator. Just relax in our cosy bar or meet your friends in a pleasant environment. Drinks are available at reasonable prices. For your entertainment there is also a TV with all English programmes at your disposal. Come and find out yourself! We welcome you all to our hotel in beautiful Lucerne. Anyone arriving later MUST let us know beforehand. For Dormitories, check-in is possible ONLY DURING RECEPTION OPENING HOURS.